The bulk SMS gateway service provider sites reviews a range of products and features with different price schedules and different gateways. By comparing major UK bulk SMS gateway providers, it was assessed that Message Media was offering the best value. There are a number of UK businesses that depend on sending SMS messages to clients, customers, stakeholders or staff, in order to get their information or marketing messages out as soon as possible. By using a premium direct gateway carrier system, these important messages will be delivered through major text message service providers with assurance that the end users will receive them within a matter of seconds or at the latest in minutes. What is offered is a website which has the capacity to disseminate or receive text messages (SMS) from a web browser that will be directed to receivers whether they are customers or clients or staff served by that direct gateway carrier system. In this current day, most messages are usually routed into a specific mobile phone networks. – Notifications when a delivery is reached. The issue when comparing SMS providers in UK is that it is not always easy to review which one best suits your needs. It should but it is not! Every SMS service provider has a range of products and tools for you to use and that can become quite confusing. And on top of this, offering a variety of price schedules when using different gateways adds to the complication. Therefore, it is imperative that you know all about the differences so that you can assess and determine the best value for money as well as been assured that your important text messages are delivered efficiently and effectively. The use of a Bulk SMS Gateway Comparison Table will make your life simpler and easier to assess the right provider for your needs. Deciding on your preferred British SMS providers will depend on a text message gateway that best suits your needs to ensure your message is sent and received with reliability. This will include the use of a premium SMS gateway or alternatively the use a cheaper hybrid SMS gateways that use less reliable overseas telecommunication carriers. In general, most large SMS providers will offer you premium gateways. The major difference between a Carrier Direct (sometimes known as Tier-1 or Premium) gateway and a Hybrid (or Grey) gateway is the passageway the SMS company uses to reach the customer or stakeholder. A Carrier Direct gateway will send your SMS directly from your computer straight to a reliable and efficient SMS telecommunication carrier. For example, in UK, this will mean that your specific text message will remain within British shores and will be delivered through major communication networks. 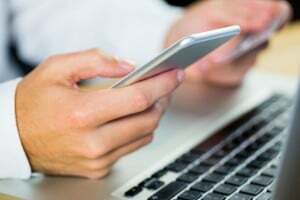 This connection is paramount for ‘time-poor’ messages or where confidentiality and privacy may be a concern such as the use of Pin numbers via major alerts. With the use of a Carrier Direct gateway, this will command a more expensive charge for each SMS that is distributed. There is a cheaper gateway service alternative option available that is called a Hybrid or Grey gateway. Such service is far cheaper than the premium service described above and is good for distribution of large or bulk messages such as for promotional or marketing campaigns or for text messages that need not be sent within a specific time frame. The hybrid gateways service will send your SMS by means of the cheapest route available. This will mean that when you are ready to press ‘send’, the SMS that you wish to be delivered may go outside British shores through an international carrier and rebounded back into an British SMS gateway carrier. This may result in a delay of your message and consequently lead to a later or slower delivery time. When comparing these gateway service options of the various SMS service providers, it is shown that SMS Broadcast and ClickSend provides the best alternative company that provides you with the option of using either of the two types of gateways. So you can determine which gateway to use but remember many SMS gateway providers will offer cheaper messages by adopting a range of hybrid gateways. From our SMS Gateway UK Service review it was found that Message Media has the best services of all major providers that were compared. They showed a reliable ability to provide the use of premium British networks thereby allowing small and large businesses to be able to send thousands of SMS promptly and at any one specific time. It should be stressed that requiring sending an SMS immediately, you can decide on the scheduled time or specified date that your SMS message should or must be delivered to the customer or client when it is most needed. From the thorough review and analysis, it is shown that Message Media had the best network support for a large range of solutions with regard to SMS reminders, including browser based message platforms. As emphasised, the ability to send mass text messages at any one time providing the client with the confidence that customers or employees or stakeholders will be notified within seconds or the latest minutes of distribution. 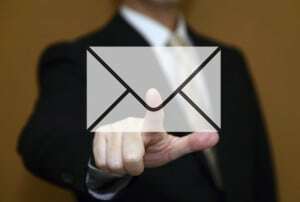 It also allows the client to choose their replies managed by Message Media inbound system, which can go straight to your email or mobile phone. The powerful part of such distribution is that ability for destination numbers to be typed in, or able to be copied and pasted from an Excel spreadsheet or some similar format. Also, export numbers can be transported from an external program where contacts are managed. From such a file, it can be uploaded into any nominated provider’s system or used for a marketing or communication campaign. Translating information into text messages will allow you to personalize reminder messages, or improve and strengthen the relationship with clients, stakeholders, employees and customers.. Message Media is a British based company and so provide the opportunity to support companies using their services throughout the country. It can be observed that certain major British organisations use Message Media for delivering their SMS reminder notices. In fact, Message Media states that it has over 4000 customers worldwide. The comparison of SMS Gateway service providers showed that Message Media, WholesaleSMS, ClickSend and DirectSMS gateway networks do provide sound support for a large range of SMS solutions which may cover browser based message platforms in UK. These companies provide you with the ability to manage replies by these Gateway services for inbound system, directed to your email, or mobile phone. As you will observe from the graphical representation chart below on suitable features available by each gateway provider, some gateway services provide a more extensive range of suitable features that services their customers and thereby were ranked more highly than others. However, others do also rate relatively well. Reviewing the competitive prices of the range of bulk SMS gateway services, it was shown that WholesaleSMS followed by ClickSend provides the best value. It offers the cheapest rates for each text message whether it is for a small distribution level or for large volumes from 50, 000 + or 500,000+. On average it is around 10 to 15% cheaper than the other lowest rate offered. Therefore, WholesaleSMS has the cheapest charges over a year period with no monthly fees that are incurred. Looking at the graphical table representation provided below, WholesaleSMS offers the cheapest rates and achieved a top rating. Other providers’ rates are between 10% to 30% more expensive than the cheapest prices. When one looks and reviews the bulk sms gateway provider comparison table, it can be easily seen that both MessageMedia, WholesaleSMS and ClickSend are regarded as delivering the most reliable bulk SMS solutions to both businesses and organisations and therefore are able to meet the needs of communicating promptly and effectively to their customers, clients and staff at any time of the day or night on a 24/7 basis. These provider companies are able to provide state-of-the-art API technology supported by sound technical advice. Of course, being British based companies, they are able to provide the customer service expected of them throughout the country on an ongoing basis. Like most gateway service providers, MessageMedia makes sure that SMS texting sent is simple to use – throughout the process from the start to finish, all within 30 seconds. Individuals, organisations and businesses, whether big or small, can access their SMS needs from anywhere since no specialized software is needed. The only thing that is required is to be able to login from anywhere with an internet connection and the rest is resolved. MessageMedia has a very powerful gateway system to access, it will support your SMS delivery whether it be sent as bulk or as single text message at any time of day or night. It is important to note that a full reporting service is available which will allow you to review your database at any time and remove numbers if they are no longer active or required. It should be stated that Message Media does guarantee their service and delivery as a bulk gateway provider ensuring that reliable SMS solutions are provided to businesses, organisations and individuals, who require that such communications is both speedy and effectively sent to their customers, clients or/and employees at any time. However, it should be emphasized that they do not provide an up-time guarantee which may be an issue if you require 100% of your text messages to be delivered on time and they do charge a fee of $99 a year for a virtual number which may rule out some smaller businesses. From a reputation angle, Clickatell was the most reputable gateway provider company with the rating. 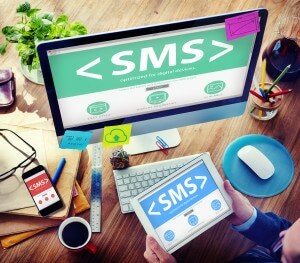 It showed that it was able to provide a very reliable SMS distribution service to its clients whether they are large, middle-sized or small businesses or government organisations that require to communicate on an on-going basis from PCs and web browsers through different IT platforms including Outlook Mobile Service, Email to SMS, Bulk SMS, Online SMS, and SMS Gateway UK. It offers a relatively competitive price that matches with other providers as well as guaranteeing a supportive client service base. Clickatell is known for its long established company standing distributing bulk SMS messages to clients, customers, stakeholders and employees, for purpose of either or and promotions, reminders and updates in UK. This provider has extensive years of international experience offers a sound online SMS messaging service that is considered to be user friendly. When comparing both SMS Broadcast and Clickatell it is evident that they both provide state-of-the-art API technology that is well supported by their great technical support department. Customer service and result orientated are areas of great importance to these providers to achieve a top level of customer or client satisfaction. From the comparative set of graphs on reputation standards below it can be seen that Clickatell rates extremely highly. This is followed by SMS Broadcast with a very good reputation rating. This is followed relatively closely by WholesaleSMS and ClickSend. Everyone thinks that selecting a Bulk SMS Gateway provider is a simple matter but it isn’t! Why you may ask? This is because every SMS provider delivery is different, whether it is the variety of products and services they have to offer or the different gateways available or the variation in their pricing schedule. Now it is easier for you to select by using Bulk SMS table that compares different bulk SMS gateway providers in UK. The comparison of providers has been prepared through means of an independent yet analysed table that provide you with a way to simply navigate the services they have to offer without having to look and understand the homepages of various providers. The table relates to pricing, reliability, gateway types, customer service support, as well as being able to access SMS provider websites. The authors are experienced people who had worked within the SMS industry, and have decided to create this bulk SMS Gateway UK comparison table to make your research much easier whether you are a business or an individual. Each review focuses on evaluating the strengths and weaknesses of the SMS provider. It needs to be stressed that the details provided in the comparison table and the reviews done should be regarded as a guide. If the SMS providers’ websites change then every endeavour will be done to change the site and comparison table as soon as possible. The well designed and easy to use SMS UK Comparison Table is prepared and offered to you free of charge. A commission may be requested from the gateway provider if you engage their services via using this site. To maintain independence, no promotions or advertising is placed on this site. This page was updated on 22 April 2019.